Sometimes instead of keeping up with the Jones and making everything and every event; the way that you think it’s supposed to be – celebrate your quirkiness and create whatever you darn well please. Most likely it will make for a much more memorable day for your family. 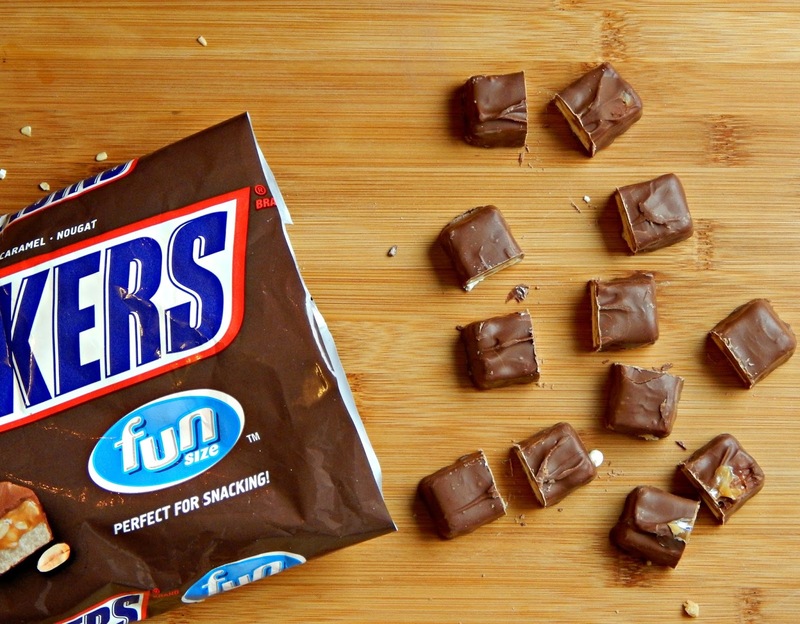 in a bowl until combined. Knead in the flour into the mixture. 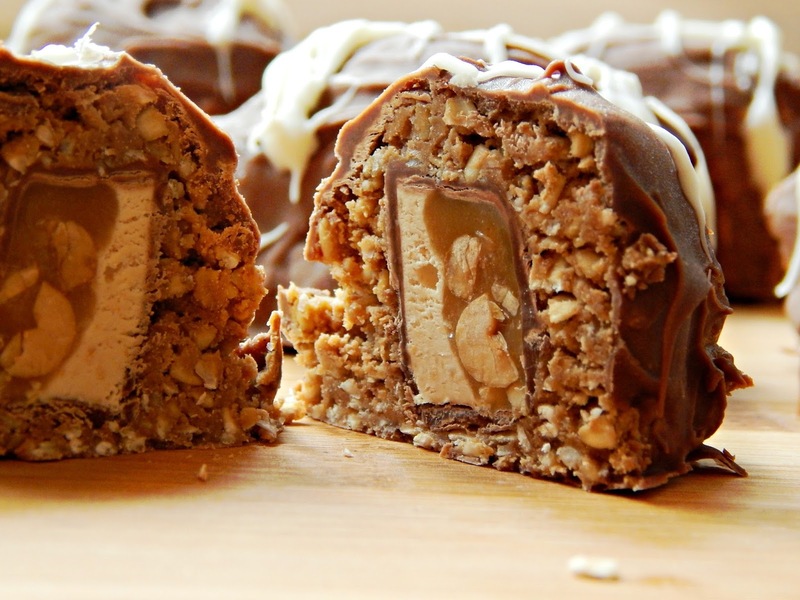 Cut the Snickers Bars into two pieces. cool on a sheet of parchment paper. 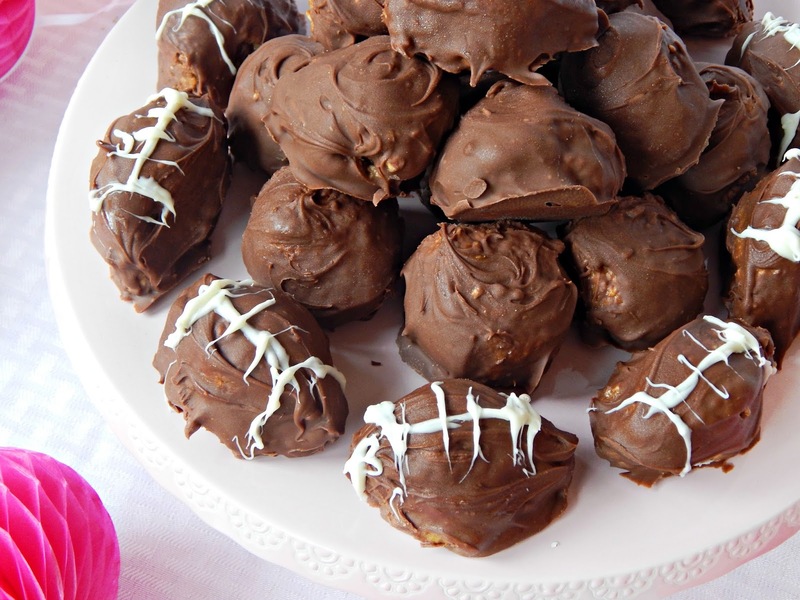 *Tip*: You can form the peanut butter balls into football shapes and top with melted white chocolate for even more game day fun! 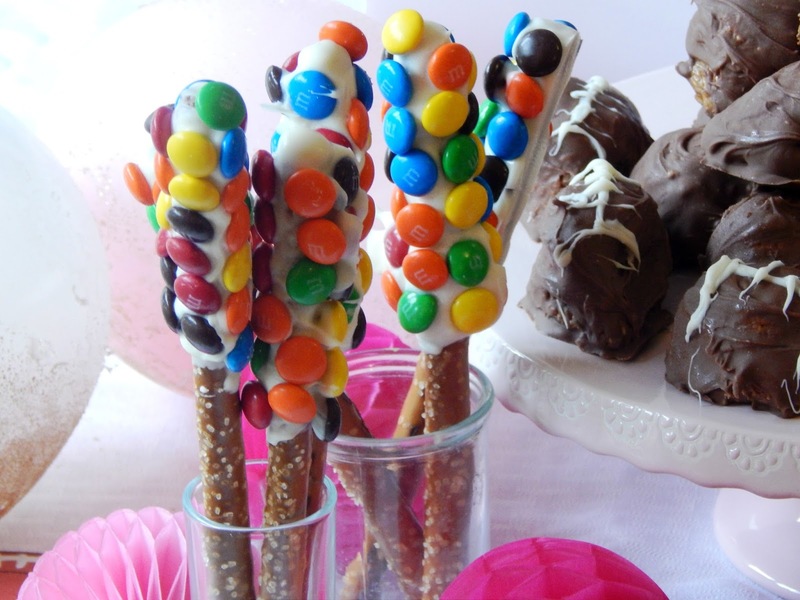 We also made a little fruit and cheese platter and dipped some pretzel rods in white chocolate and coated them with M&Ms. 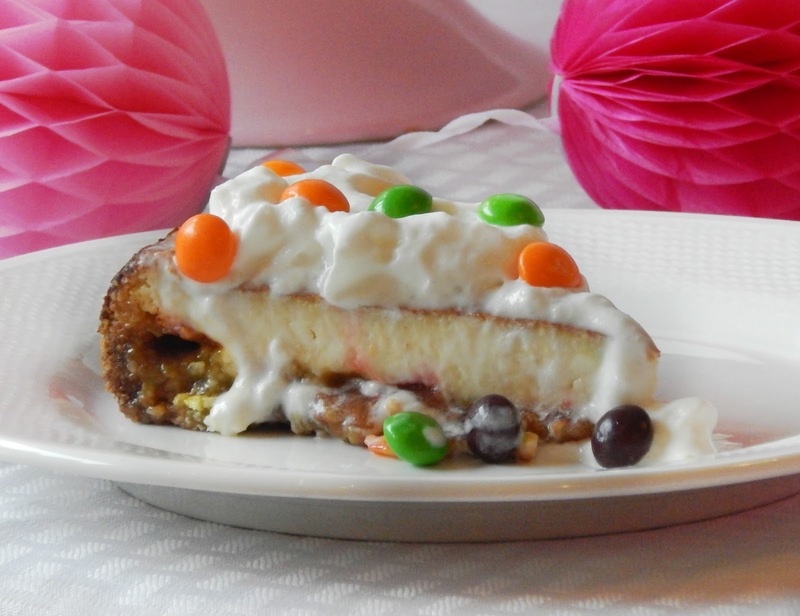 Then we attempted something I’ve never done before: a Skittles Cheesecake. 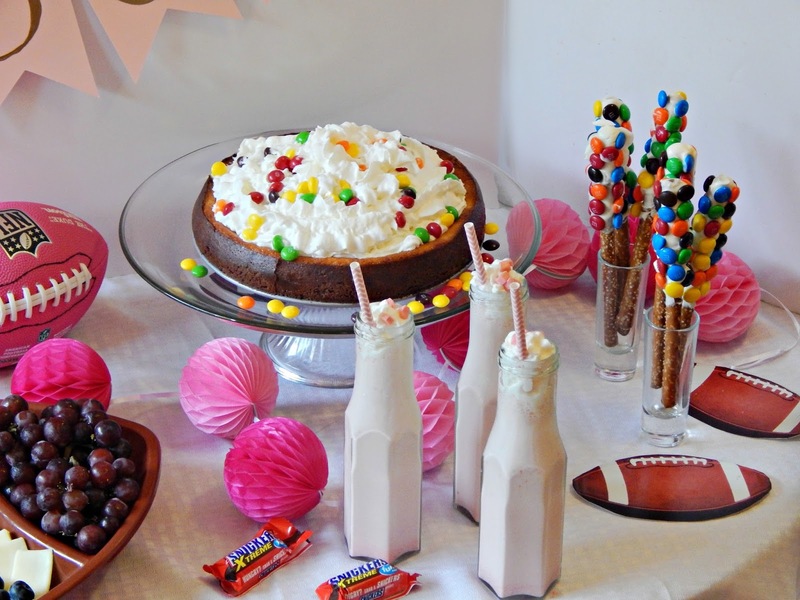 It turned out pretty tasty, and the Skittles flavored the cheesecake and made a chewy layer on top of the graham cracker crust. 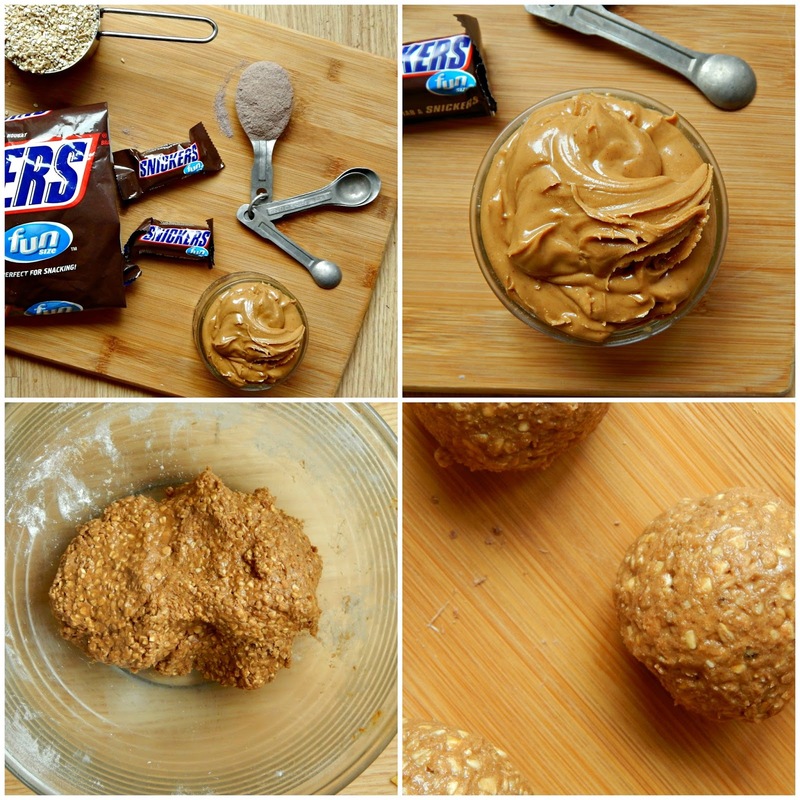 Mix the graham cracker crumbs and butter in a large bowl. 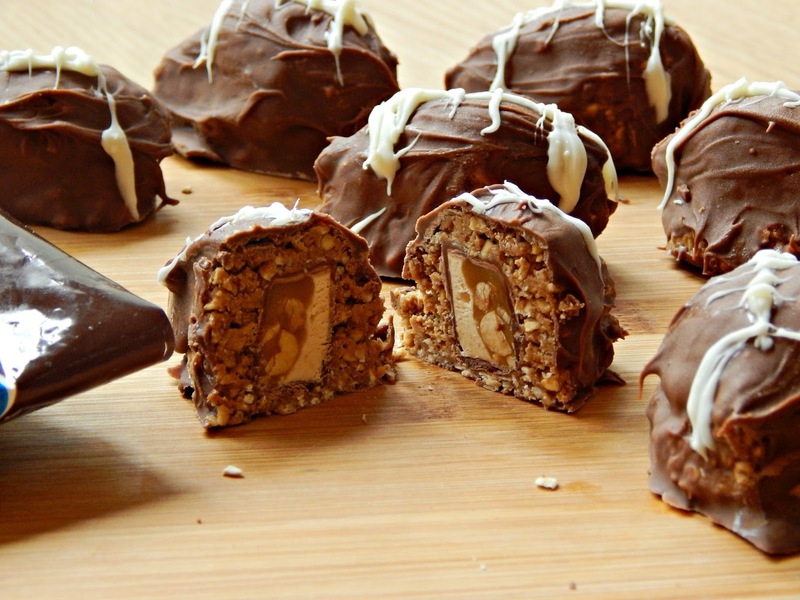 Press into the bottom of a spring form pan and set aside. 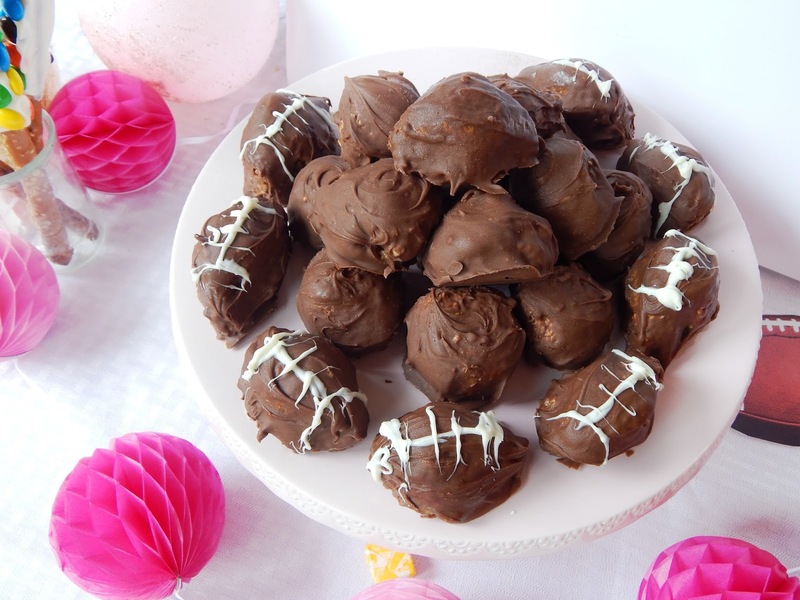 In a separate bowl, beat the cream cheese with an electric mixer. Add in the eggs, one at a time, followed by the sugar, vanilla, and sour cream. Layer skittles in the bottom of the pan, on top of the crust. 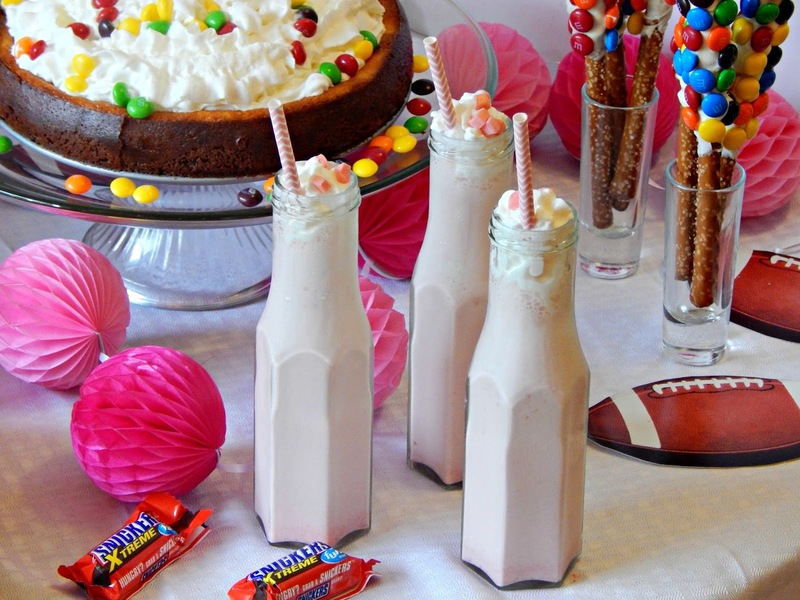 Pour in the cheesecake mixture until the Skittles are covered and then add one more layer of skittles. Pour remaining cheesecake batter on top and bake in a 350 degrees oven for 45 minutes. 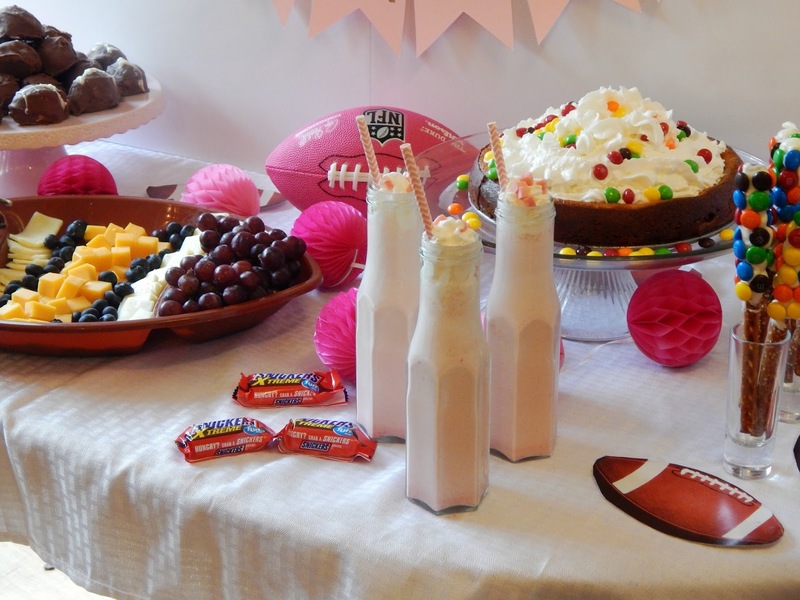 We also attempted to make a Starburst Milkshake, which turned out to be my favorite creation of the morning! 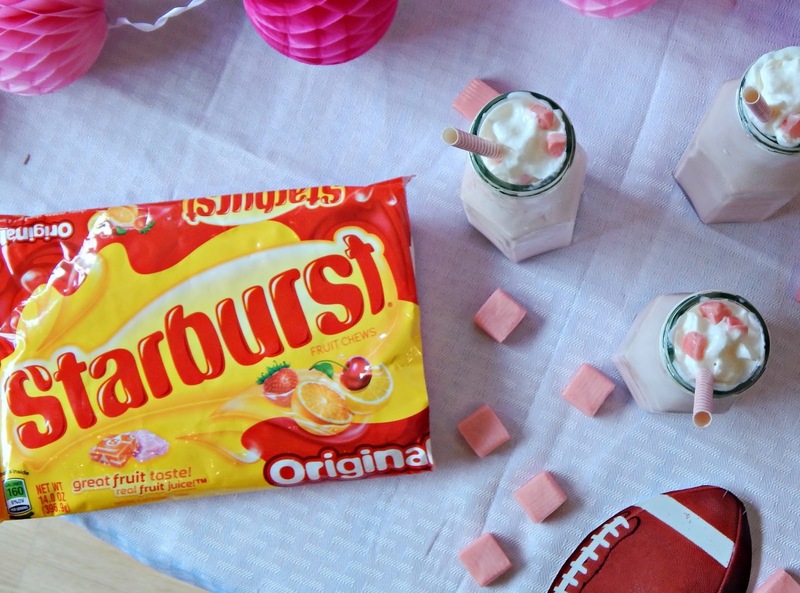 We melted the Starbursts before mixing in with the ice cream, so it really made it taste just like a Starburst! Place ¼ cup of the milk and Starbursts into a double broiler and melt over medium heat, stirring continuously. The Starbursts will break down and liquefy – but there will be some small pieces remaining (that’s ok!). 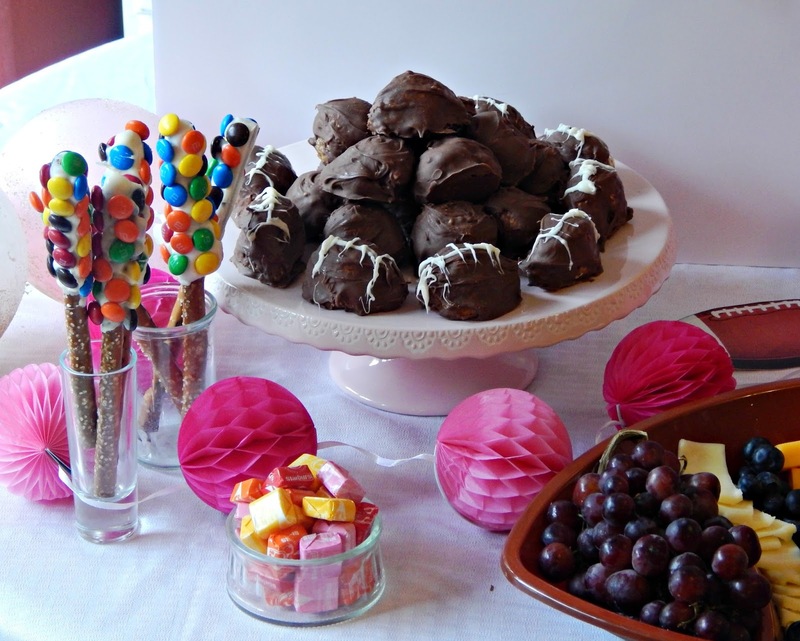 What kinds of unique treats do you like to create for parties in your home? 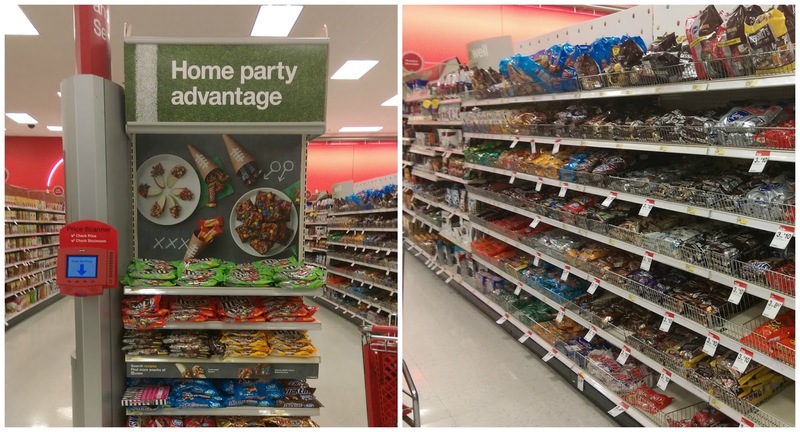 At Target you can find everything you need to make a tasty sugary spread! 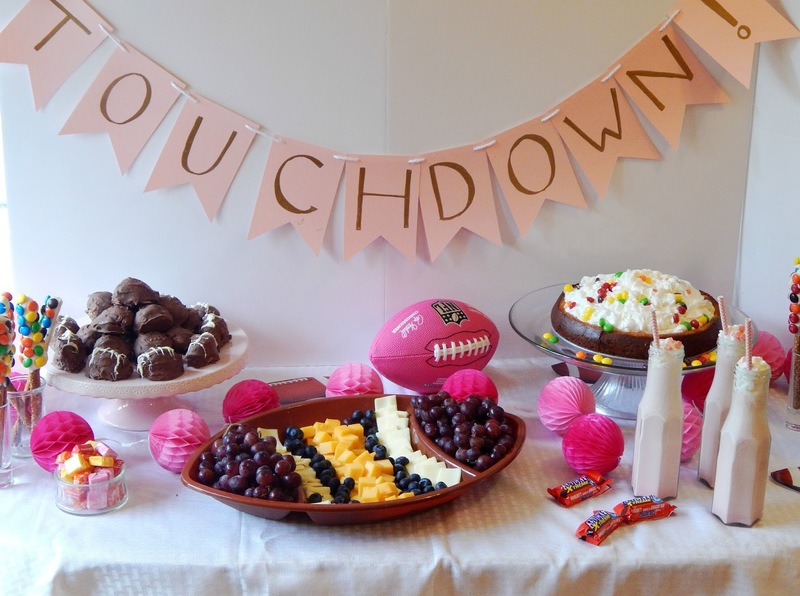 Also, check out TargetYourSweetTooth.com for more fun sweet treat party inspirations and the Target Cartwheel Collection for Super Snack offers! 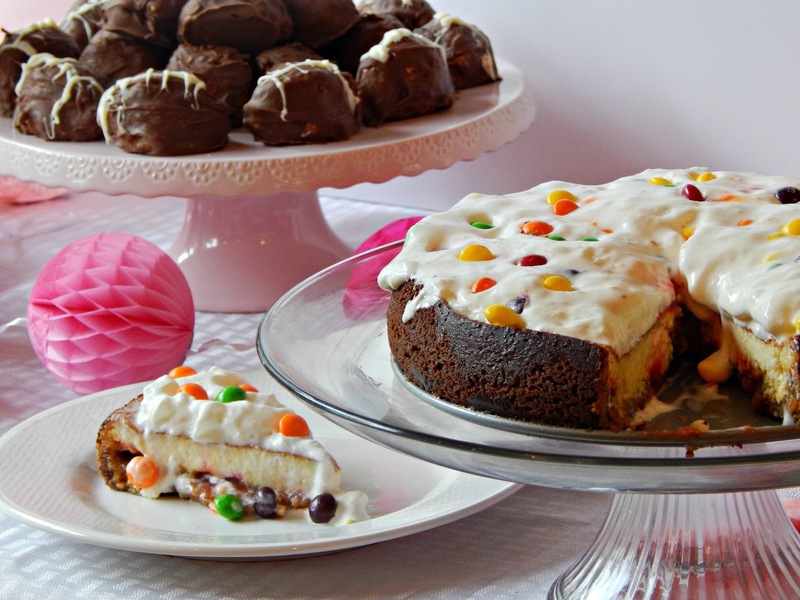 Oh, the Skittles Cheesecake looks so good! Starburst milkshake? Delicious! 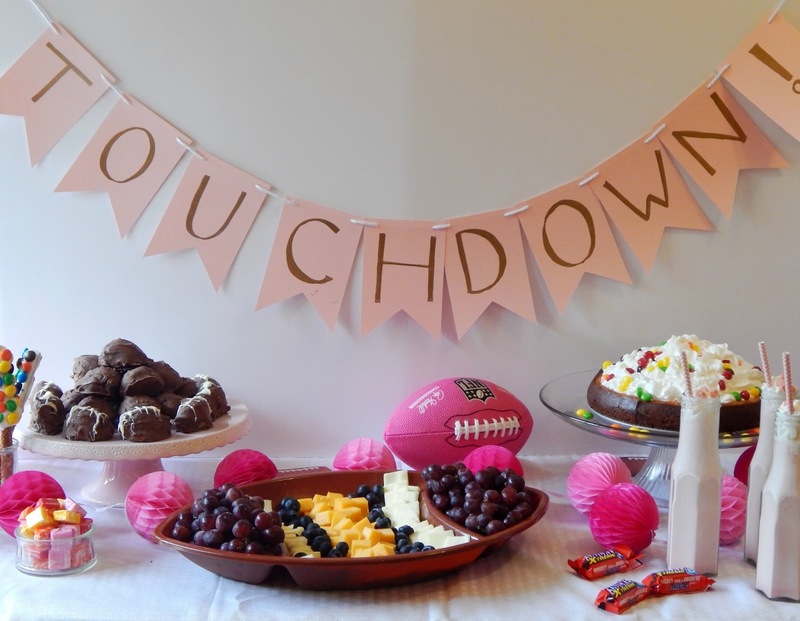 And I love this football party decor! 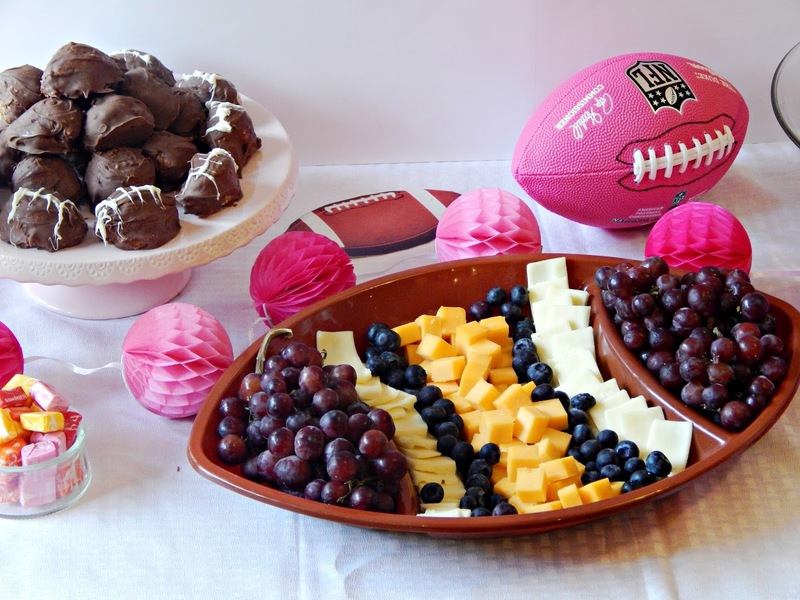 You really did a great job putting all this together, Melissa! 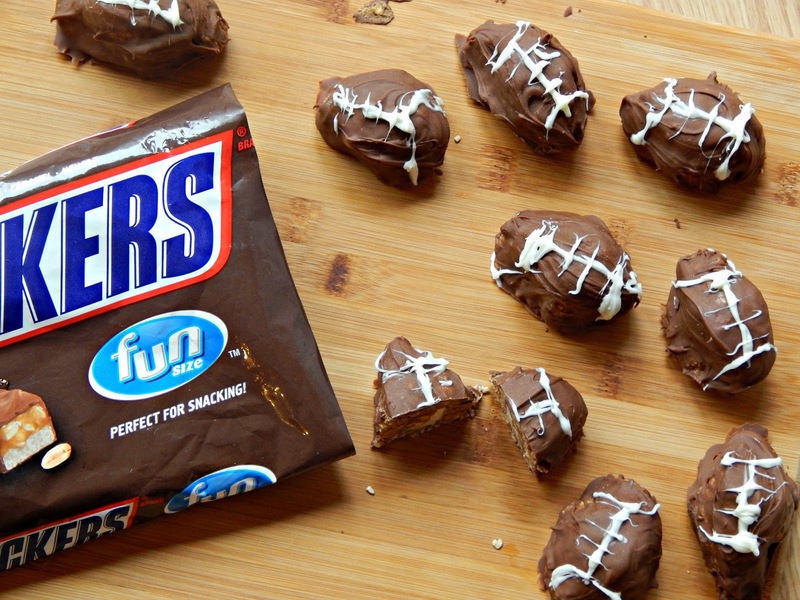 Oh my gosh this all looks so good! 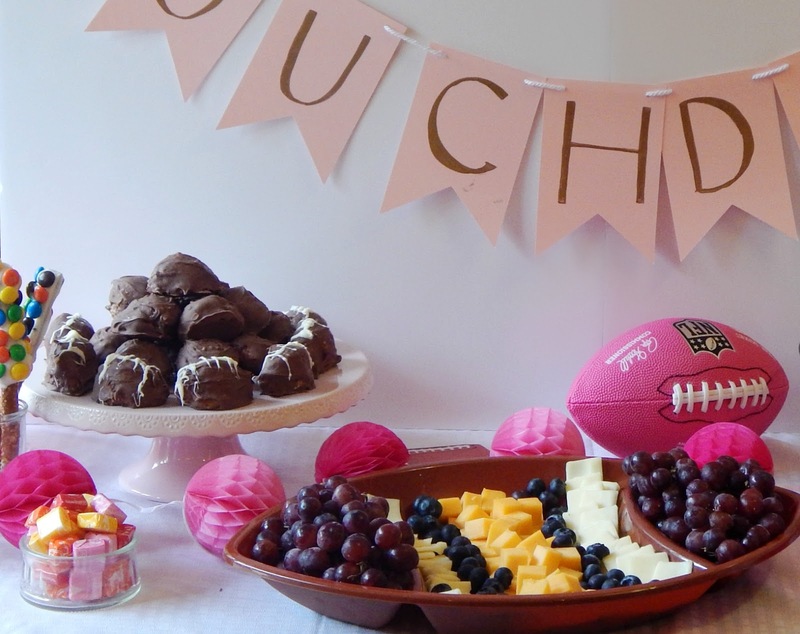 Thanks for sharing these awesome recipes on the Tips and Tricks link up party!